Six famous Irish “republican terrorists” murdered by the British state for the Morning Star to condemn as guilty of treason, three Catholic and three Protestant, Padraig Pearse, James Connolly, Bobby Sands, Ronnie Bunting, Roddy McCorley, and Wolfe Tone. “For while it is likely that all republican terrorists were of the Catholic faith, the British government completely ignored the fact that not all Catholics were terrorists, but nevertheless treated them as such. “This is just one of the reasons why the civil rights march was taking place on that day and why 14 innocent people with no links to terrorists or terrorism lost their lives. Northern Ireland The whole truth | Morning Star “The Northern Ireland Veterans Association (NIVA) wants to tell its side of the story in a film The Great Betrayal. RICHARD RUDKIN suspects their version …. The Letter: No Ifs, no Buts? Richard Rudkin’s article (M Star March 28) sets out to emphasise the difference between innocent civilians who were Catholics and “republican terrorists who were of the Catholic faith”. But we cannot forget the tradition of Irish Presbyterian Republicans in the 1798 era like Roddy McCorley and Wolfe Tone, Church of Ireland but of revolutionary French Huguenot descent. Likewise, later Protestant Irish socialist republicans like Ronnie Bunting, son of Major Bunting, Ian Paisley’s sidekick in 1969. Irish Republicanism cannot be reduced to religious beliefs nor dismissed as “terrorism”. Following the Ballymurphy and Bloody Sunday massacres the “innocence” of the nationalists was gone. Bobby Sands, the most famous of all the “republican terrorists” was elected in Fermanagh-South Tyrone in 1981 with 30,493 votes. The 100,000 who attended his funeral were not “innocent civilians” but militant republicans demanding their rights by showing solidarity with Sands. It was Ireland’s biggest funeral since that of Sinn Féin Lord Mayor of Cork Terence MacSwiney in 1920. Before him, many other “republican terrorists” like James Connolly and Padraig Pearse rose up against Britain and were executed in May 1916. The Glenanne gang, the UVF and the rest of the Loyalist death squads were sectarian mass murders with the slogan “any Taig will do”. With Lenin, we acknowledge the fundamental feature of the concept of the dictatorship of the proletariat is revolutionary violence. 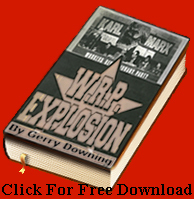 Marxists should never apply one and the same abstract moral norms to the violence of the oppressors and the oppressed, as Trotsky reminds us because “it is the function of these abstract norms to prevent the oppressed from arising against their oppressors.” Irish republicans fought a liberating struggle, against the Loyalist/British army/MI5 death squads who fought a counterrevolutionary campaign to suppress those progressive and legitimate demands to self-determination for Ireland as a whole.